Website optimization is now akin to walking through a minefield. Inaction could lead to a penalty. But merely being active doesn’t get you anywhere, especially if the actions are based on copybook techniques. Almost like no rewards and only punishment. Call it unfair, but that’s what it’s become. It’s now a rat race, and the winner is the one that knows how to jump. Unless you showcase a stellar logo or strong punchline in support of your brand, you’ll be trounced by your competitors. Do you want to be the winner? Then review your marketing templates strategies periodically. Archaic techniques get you nowhere. As a brand, you must always be at the forefront. Yes, automation is among the hottest trends in 2018. Premium automated platforms have made everything so easy for businesses. Recruiting new staff is often just an option now. Businesses of all scale and size are moving to premium marketing tools for better ROI. I used it, and I back it up for more than one reason. On the surface, Ubersuggest is a tool for suggesting keywords and optimization. But if you dig up, the tool is much, much more than this cursory description. It lets you use data from Google Analytics and Webmaster tool without having to login. The best thing about Ubersuggest is that it integrates all aspects of semantic SEO. It suggests keywords after researching the ranking difficulty, competitor outperforming difficulty, monthly search capacity, and campaign budget. Not separately, but combinedly. To figure out how there’s a semantic synergy at work, understand the tool mixes keyword difficulty analysis with competitors’ intelligence. Ubersuggest’s competitive overview goes as far as to show you ad copies of your competitors. At the same time, gives you a realistic idea of how difficult it’d be for you to rank on the keywords used by them. These are cool features. But what makes Ubersuggest irresistible is it is free. Yes, you heard it right. It’s free, doesn’t even cost a dime. If you are into niche marketing, Narrow.io is the right tool to use. It’s only for Twitter. That’s not a problem as Narrow brings quality traffic. Getting quality traffic from one network is better than getting unresponsive traffic from multiple networks. Which is why every social media marketer I’ve met said they’ve used Narrow.io at some point. This tool is social media automation 2.0. 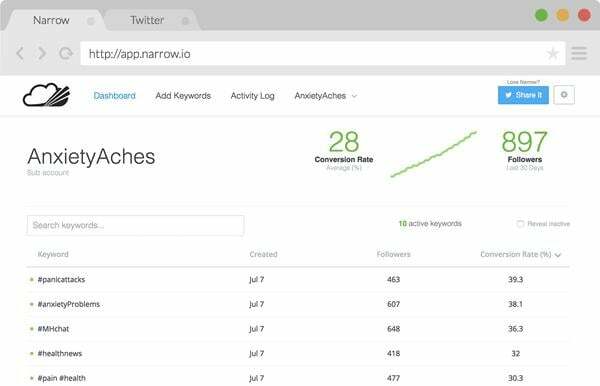 The narrow dashboard is a goldmine for keyword insights. It also allows you to add and exclude keywords. The setup process is straightforward. All you need to do is log in and select a plan. The Pro and Business plans let you manage more than one account. After choosing a plan, enter desired keywords and hashtags that represent your business and the industry. Narrow will then begin to screen matching Twitter accounts and auto-follow them. Also, Narrow will auto-like their tweets. The “Blacklist” feature reminded me of negative keywords in Google AdWords. Once you put a term on the “Exclude” list, Narrow will stop targeting tweets containing that term. Narrow.io is affordable. The “Pro” and “Business” plans cost $49 and $99 respectively. CRM and social media are now connected on a deeper level. Hubspot CRM lets you explore this connection. You’ll be buried under customer-centric insights, and as I wrote in my previous article, these insights will be coming from interpersonal social media communication, thereby helping you taking sales decisions quickly and accurately. There are five pricing plans, designed to attract small, medium and large corporations. If you have an in-house team of competent social media professionals, I advise you choose the free plan. It is designed for small businesses. It reveals important details on leads. Details include lead flows, contact activity, company insights and access to lead analytics dashboard. These are valuable insights; your social media team member’s efficiency increases multifold when they are armed with them. Paying $200 a month gives you access to almost all the features of Hubspot CRM. It’s not much of a loss if you don’t run a large organization. Salesforce integration, smart contract, and marketing automation are the remaining features you don’t get access to. 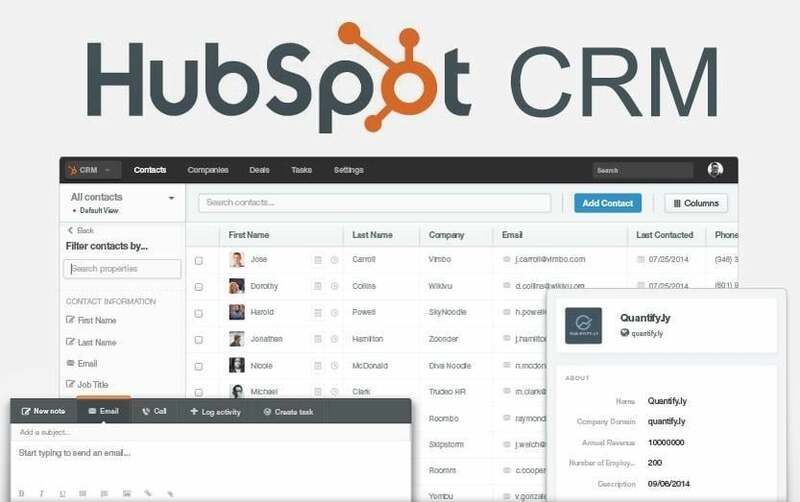 Hubspot CRM fits all budget ranges. So, take time and choose a plan that suits you. The three tools discussed here are all different from one another. Ubersuggest is basically an SEO tool, Narrow.io is used for social media, more specifically for Twitter and Hubspot CRM is to manage customers. The purpose of discussing these tools is to remind marketers all aspects of brand management count, maybe not equally but to the extent that avoiding one could cost heavily. Currently, no tool integrates all these aspects without downplaying or overemphasizing one. Enterprises know this far. But many of them lack the foresight to choose the right tool. Hopefully, this article will guide them in selecting the best-automated solution for their business. This entry was posted in Internet Marketing, Tools. Bookmark the permalink.